If you have been using Google Maps, then you are probably aware that they have this Street View feature whereby you can zoom into the map down to street level and pan the 360 degrees view of the surrounding of the pin/location you set as if you are there at the spot. This setup on the vehicle above is how Google drives around every road, street, lanes in every country to cover as much and take as many photos as possible and stitch them into a 360 pano view which can be panned and navigated any directions we want. CLICK here to learn more about Street View. 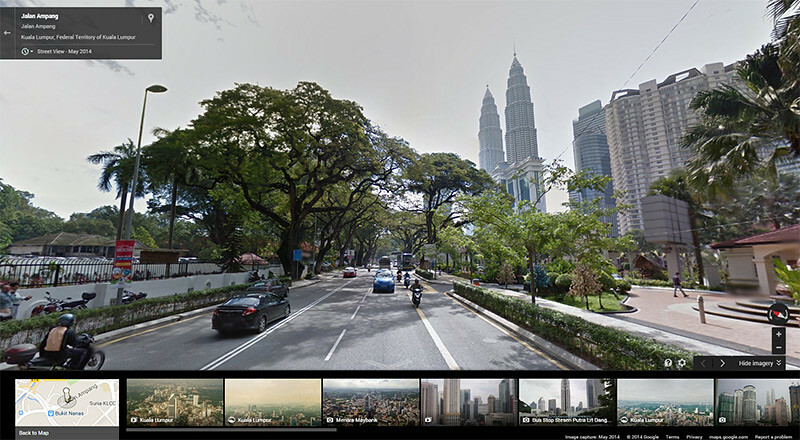 This Street View feature availability has been growing since years ago, covering a country one after another. 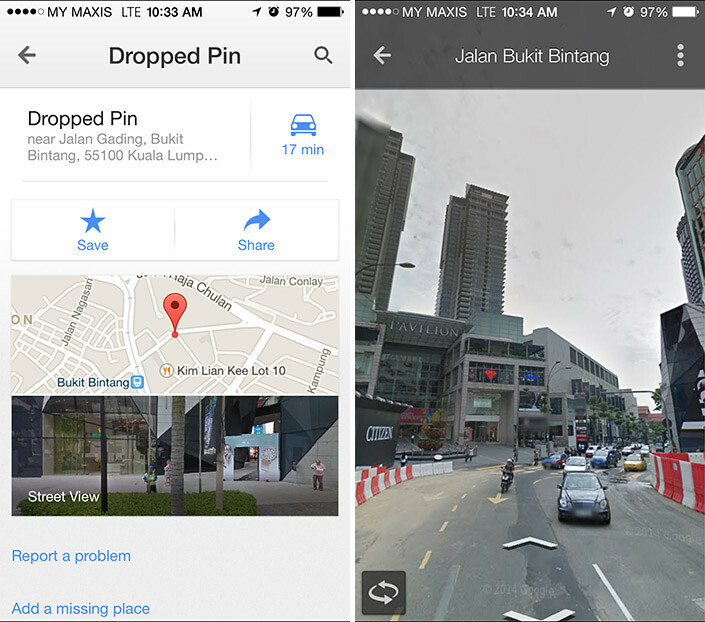 Google has recently announced that this feature is now available in Malaysia. To access this, just go to maps.google.com and search to the location you want to view. Then, drag the tiny yellow human from the bottom of the screen to the spot preferred. StreetView will then be activated. Open Google Maps app, search for the location you want to view, long press on a particular spot on the road. Then pull up the card from bottom to access StreetView option. 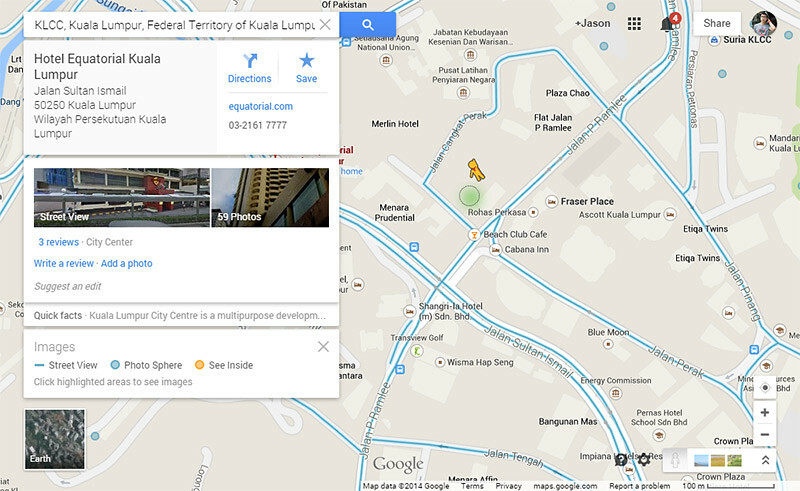 So there you go, now you can roam around Malaysia (and other countries as if you are walking on the streets).